A tour like no other. Trip is open to martial artists, families and those that want to go on the trip simply to visit China. The Trip includes airfare to and from China and in and around China; lodging; meals; martial arts training; sightseeing; tours, etc. Shaolin Temple –is the origin of Chinese Zen Buddhism and the cradle of Kung Fu. The Shaolin Monks have been practicing Kung Fu for over 1,500 years. We will see the actual training ground with the monks’ footprints. Many martial arts movies selected Shaolin Temple as the shooting site. 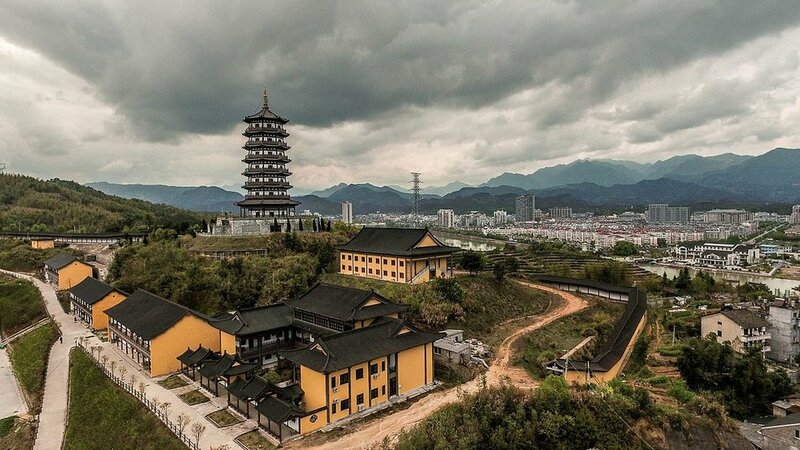 We will visit the “Pagoda Forest”, one of the solemn places and the biggest monks’ cemetery in the world with about 250 pagodas in Shaolin Scenic Spot. Then visit “Temple Complex” the place where large-scale ritual activities take place and living accommodation of monks. 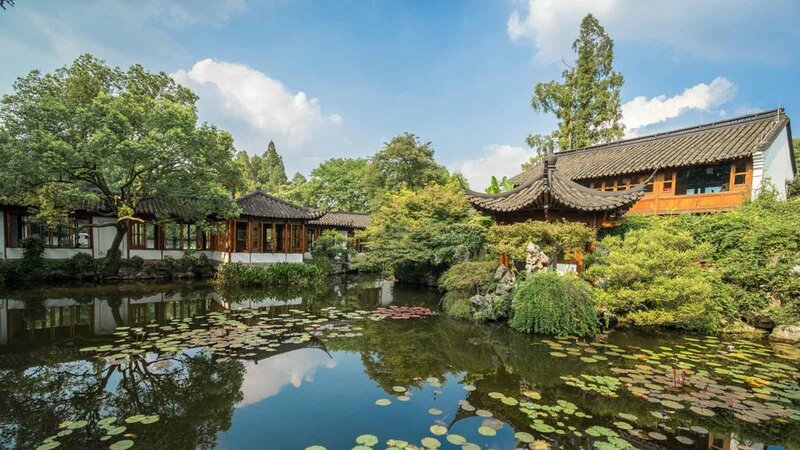 Hangzhou – The “West Lake” is undoubtedly the most renowned landmark, noted for the scenic beauty that blends naturally with many famous historical and cultural sites. We will see large patches of lotus blooms and leaves that seemingly stretch to the horizon. The beautiful West Lake has inspired many famous artists, poets, and writers. Hangzhou grows some of China’s finest Longing Tea (green tea) which is renowned throughout China. We will visit the Longing Imperial Garden to experience the regions tea culture. Suzhou – “Tiger Hill’ known also as Surging Sea Hill, is a large hillock covering about 3.5 acres (14,100 square meters) and only 118 feet (36 meters) in height. We can find a number of historical sites some of which can be traced back over 2,500 years to the founding of Zuzhou. “Suzhou Silk Museum” which is well known as the “Paradise on Earth”, but also the silk capital of China. The high-grade silk produced for the royal families was made by silk weavers here. We’ll see a variety of silk clothing and products. You can’t visit without buying something. Beijing – We will explore Beijing by visiting “Tiananmen Square”, “Forbidden City”, “Great Wall”, “Summer Palace”, “Temple of Heaven”, “Olympic Venues”, Kunming Lake”, “Wangfujing Street” and “Beihai Park”. “Tiananmen Square” is the largest city square in the world. It is the site of the annual meetings of the National People’s Congress and contains a meeting hall with more than 10,000 seats and a banquet hall capable of seating 5,000. “Forbidden City” is the world’s largest palace complex, fourteen emperors of the Ming dynasty and ten emperors of the Qing dynasty had reigned here. It houses numerous rare treasures and curiosities. “Great Wall” is one of the greatest wonders of the world. Just like a gigantic dragon, it winds up and down across deserts, grasslands, mountains and plateaus, stretching approximately 21,196 kilometers. We will visit the Badaling side which is the best preserved and most complete section of the Great Wall. “Summer Palace” is the largest and most well preserved royal park in China. 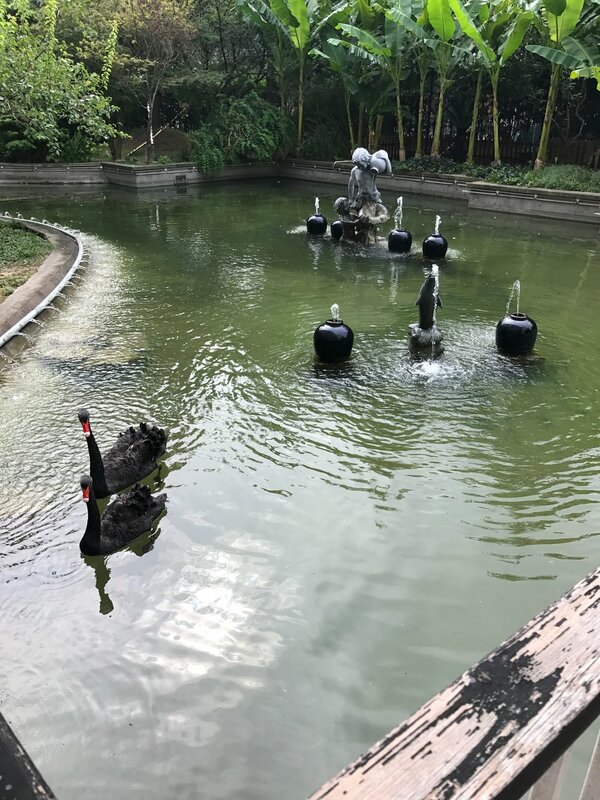 It greatly influences Chinese horticulture and landscape with its famous natural views and cultural interests which also has long been recognized as The Museum of Royal Garden for the royal families to rest and entertain. “Temple of Heaven” is the best place to explore the traditional royal sacrificial culture of ancient China. It had served as the holy place for emperors to pay homage to Heaven and to pray for a year of rich harvest. “Olympic Venue” the 2008 Olympic held at the Bird’s Nest and Water Cube. “Wangfujing Street” is the most well-known and prosperous business street with modern and fashion trends. The roads are lined with boutiques, desserts shops, crafts shops and antique shops. We will boat ride on Kunming Lake which is central lake on the grounds of Summer Palace. It is a pleasant and leisure walk in the Beihai Park to explore local culture. Jinan – known as the “Pearl of Springs.” We will visit the “Daming Lake Park” and “Black Tiger Spring” famous for its spring water, bubbling streams and its breathtaking beautiful scenery. The nearby rockery, corridors, pavilions, leafy trees and twittering birds form a great resort. Shanghai – Hu for short, is a perfect blend of cultures, the modern and the traditional, and the western and the oriental. We will visit the “Oriental Pearl TV Tower” the “Bund”, “Nanjing Road, and “Yuyuan Garden”. The “Oriental Pearl TV Tower, it creates a picture of twin dragons playing with pearls. On a clear day, we can see all the way to Yangtze River on top of the tower. 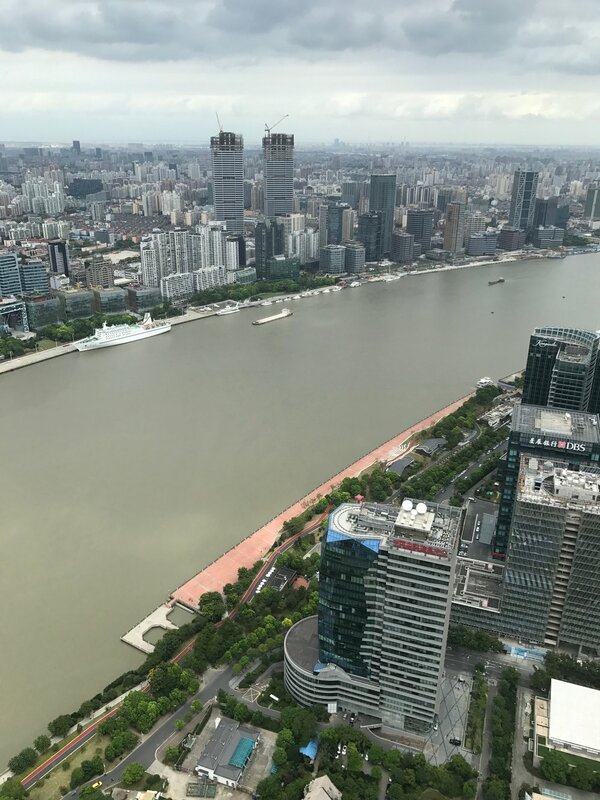 The “Bund” is a famous waterfront and regarded as the symbol of Shanghai for hundreds of years with international architecture. It is the most prestigious landmark and best preserved demonstration to the glamour of the old Shanghai. “Nanjing Road”, the busiest shopping area in the metropolis or even across the whole China. We can marvel at the stunning view of the “Yuyuan Garden and enjoy a local experience by strolling around the nearby “Chenghuang Miao Bazaars”. Enjoy the most extraordinary sights of Yangpu Bridge and Nanpu Bridge, the old iron Waibaidu Bridge, and Jin Mao Tower, the modern skyscraper on a night cruise. The night view with all the illuminations is truly amazing. Longquan – is famous for its swords. It is regarded as historically the finest in China and among martial artists. We will witness the Longquan sword production process. You will be able to purchase the finest swords in the world. Xian – The museum of the Terracotta Army. 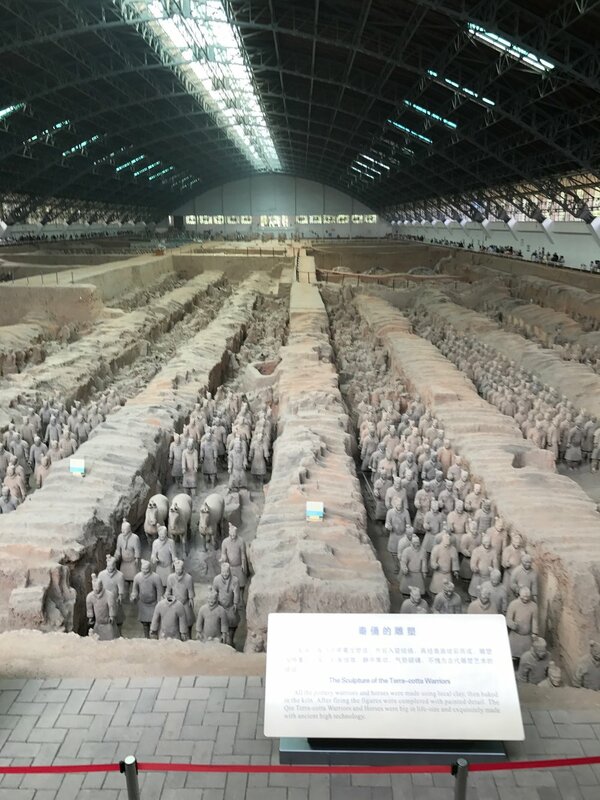 Discovered in 1974 when a local farmer was digging a well, the terracotta army, buried in 210 BC with the first emperor of the Qin dynasty, astounded the world with their artistry and sheer numbers. The thousands of life-size figures have individually unique faces and hair and armor styles appropriate to their rank. The terracotta army was constructed to guard the tomb of Emperor Qin Shihuang, the founding emperor of the Qin Dynasty, and the emperor who united China. It is truly mind boggling to think that this amazing site was built so long ago by such primitive tools and only to guard a tomb in 1987. This archeological treasure was added to UNESCO’s World Cultural Heritage List. You’ll get to meet the farmer that discovered the site.